Since we moved to Brisbane, Saturday mornings are spent at the West End Markets. We like to go early, before the tourists start coming down and the lovely meanderings are hampered by the crowds. We always stop partway through our shop – S will get a coffee and I’ll get a green juice, and we’ll share a gozleme or get freshly baked croissants. W stares around taking it all in, happily chewing on the kale leaves poking out from the bag. I’m familiar enough with the market now that I have my favourite stalls, where I know the produce is local, fresh, and great quality. There’s the lovely Sikh guys who sell sweet bananas and juicy pineapples with the Stanthorpe apples and pears right next door. The religious Taiwanese mob with their organic eggs, the bearded potato guy who has the best sweet potato ever, and the bread stall whose walnut and spelt loaf is not to be missed. This weekend though I stopped somewhere new, drawn in by the allure of the golden beetroot. Beetroot is one of my favourite vegetables. 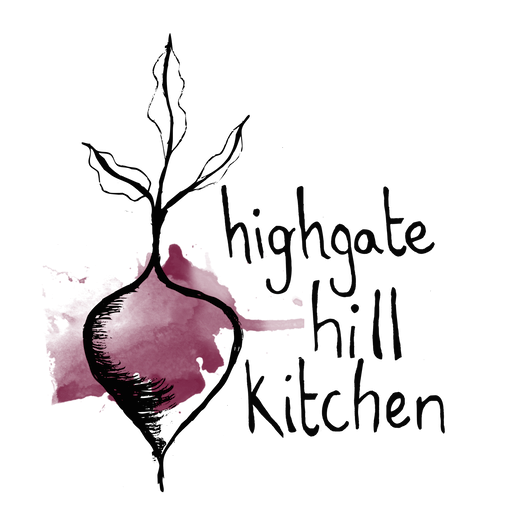 I love its bright purple hue and it is surprisingly versatile – juices, shredded raw in salads, roasted. I rarely see golden beetroot, so I had to get some. Golden beetroot has a slightly milder flavor than its well-known cousin, but looks just as pretty, with its sunset orange skin and bright yellow flesh. You’ve probably come across this salad in one form or another. 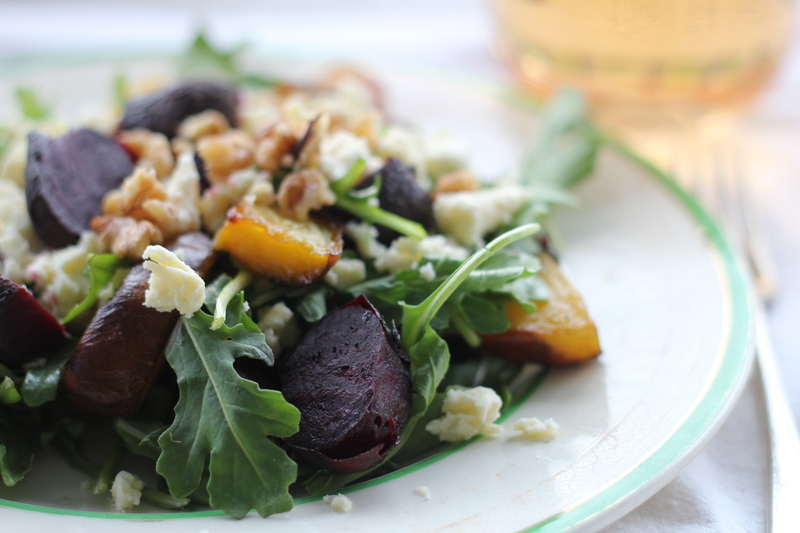 It remains one of my favourite ways to eat beetroot – the salty tang of feta offsets the sweet earthy beets perfectly. I like to keep the dressing light, with all the focus on the veggies. On a hot evening we’ll enjoy this salad as a light main meal, accompanied with a crusty slice of walnut bread. It’s also great as a side salad with a piece of grilled marinated lamb, or spiced cous cous. Heat oven to 200°c / 390°f. 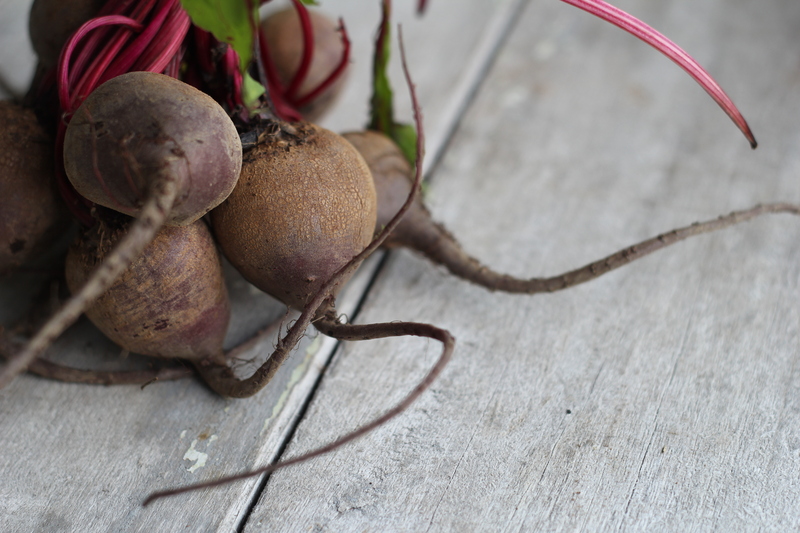 Trim leaves off baby beetroot and cut golden beetroot into large chunks (approx. same size as the baby beets). Oil a baking dish and toss the beets to coat with oil. Sprinkle with salt and pepper and bake for 45 minutes. The beetroot are done when a toothpick inserted meets only the slightest bit of resistance and the skin is starting to crackle. Remove beetroot from oven and leave to cool. Spread walnuts out on a baking tray in a single layer and pop in the oven for approx. 10 minutes, until they start to go brown. Remove and leave to cool. Wash rocket leaves and put into a bowl. Trim tops and tails of the baby beets and cut in half. 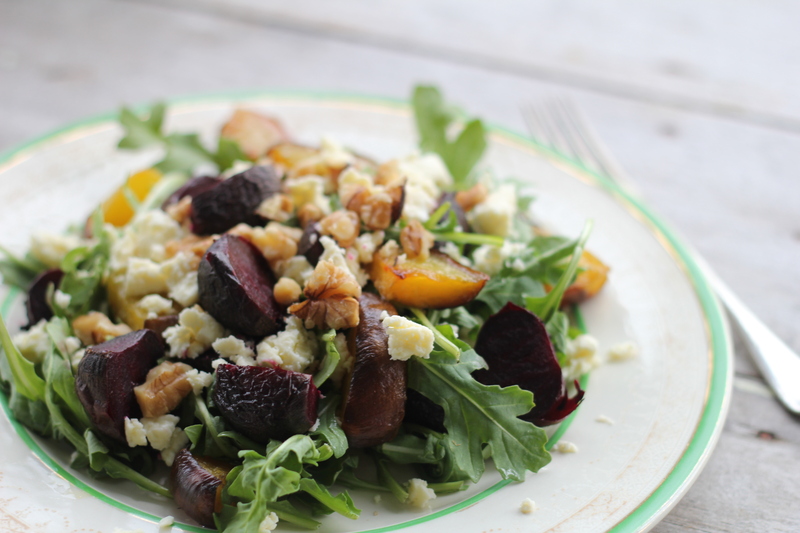 Toss all the roasted beetroot into the bowl with the rocket. Crumble the feta over the top. Roughly chop walnuts and add to the bowl. Drizzle over olive oil, salt and pepper to taste, and mix through. Notes: this salad is flexible – if you can’t find golden beetroot, use extra purple beetroot, or even throw a sweet potato in there. 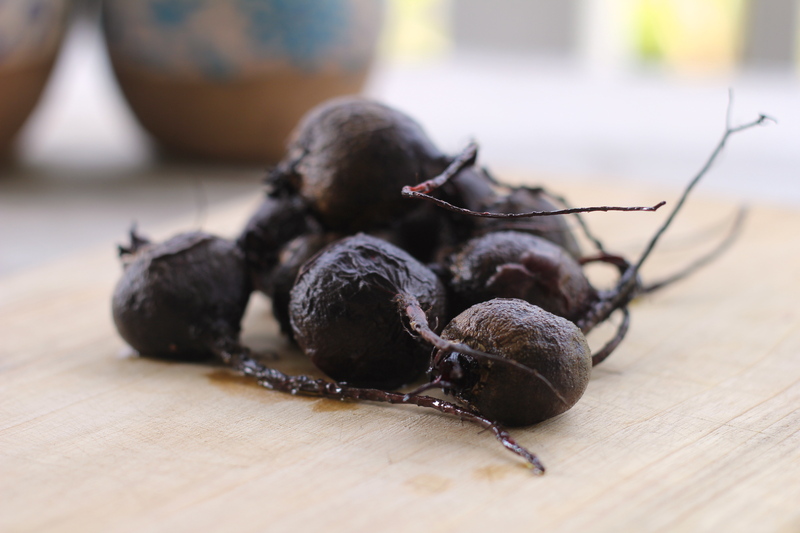 Likewise, if you don’t have baby beets, the large ones will work just fine.